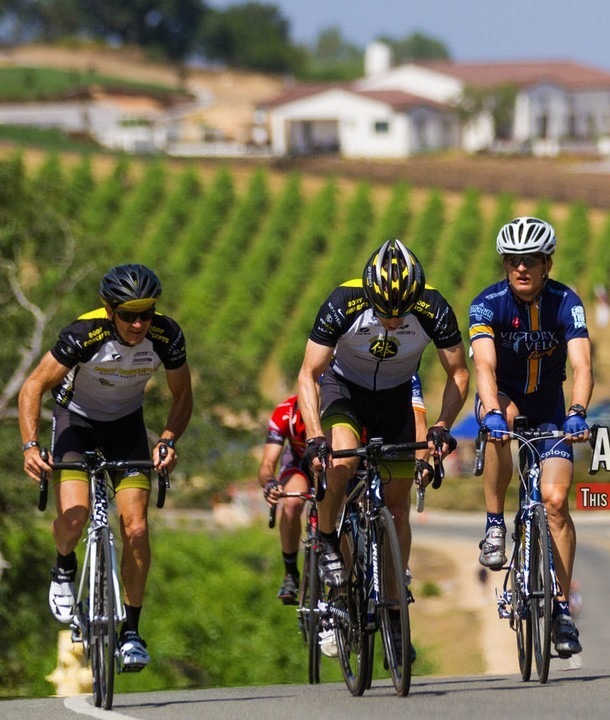 The Omnium consists of 2 races this weekend, the Circuit Race at Montserrat and the Auburn Downtown Criterium. These races are my best chances of the season at doing well since they include a lot of climbing and technical descents. The other bike races we've scheduled this season come down to field sprints which are still my weak area. I'm happy that I put in some good climbing practice last week around the Iowa Hill Loop. But I'm also coming into this race following a week of last-minute planning. I've been trying to do too much and have started everything less prepared. Thursday I rushed out of work without preparing a backup properly and showed up the next day with a week's worth of lost data. This morning I'm volunteering at the race until my start and that means no practicing on the course. I'm using the new wheels we bought. I've been tentative because, although I haven't crashed in many years, this type of road racing is known for crashes. I haven't raced on them before but I have practiced a little in training. It's perfect weather (unlike last year's 100+ temperatures). After my shift I warm-up on a similar section of road so I can practice hard turns at a round-about. I practice looking, focusing beyond the turn. I know that just a glance to the outside of the turn can mean disaster at high speed. After 10 turns I'm feeling good about it, and the wheels. My group isn't too big. Teammates Ron Fallon, Robin Mckinney, Matt Marks, Jeff Brooks, Scott Kennedy and Curtiss Johnson are with me. Ron was the one I followed closely in the Bariani race. But he admits a hilly course is not is strong suit. I pray and give the Lord my full attention, letting go of the million thoughts in my head. We start at the top of the hill and descent to the tight round-about. My strengths are the tight turns and steady climbs. My weakness is sprinting and saving energy for the attacks at the end. My tactic before was to lead into the turns, get a gap, and then rest while the group exerts energy to catch up. But the first couple laps I try the opposite, going last into the turn, and coasting back up to the group. It doesn't work because the pack is quickly falling apart with each climb. The climbs are tough but I try to lift my knees and stay light on the pedals. Soon I find that we're dropping riders. After 5 laps, it's just me, 2 Body Concepts riders and a Easy Bay Velo Club rider in red. I haven't led through any of the turns but instead have followed them into them, each time having to go slower than I'm used to. The 2nd most difficult turn is #5, at the starting line. It's my favorite. Each time I drop back a little in order to go faster through the turn, but I never get to go full speed. After 7 laps, with 3-1/2 laps to go, and feeling excited that I have a chance to get top 3, I make a sudden, last-minute decision to pass the group and lead through turn #5. Instead of slowing down with the 3 riders ahead, I pedal through on the inside, right into the apex of the hard left turn. I'm feeling confident going into the turn at 30+ mph, but my mind is on too many things, and definitely not on the critical task of focusing beyond the turn. By the time I start to focus ahead I already hear internal alarms that my speed is too fast. 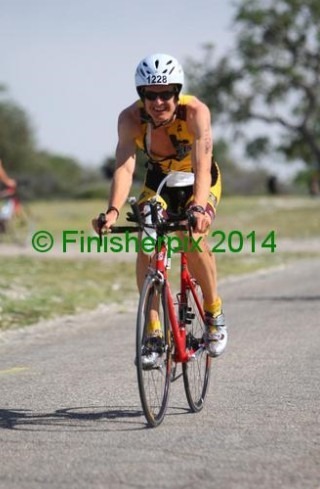 Then I make the big mistake of looking to the outside of the turn. Time seems to stand still in snap-shots. First I find myself looking calmly for a plan B and seeing the hillside beyond the hay bails and thinking to myself, "That'll be a nice place to go." The next image is seeing the pavement disappear below me as I start to fly straight off the road and thinking, "No, this is not what I want to do, I should be trying to make the turn!". And finally the impact into the hard ground on my right side which immediately felt just like I was expecting. But then quickly not how I expected as I try to breathe. The volunteer medical crew is quickly on me. I was only 100 ft from their station. They're my friends & teammates, Eric Voosen and Shayne Marshall. I'm in good, friendly hands. But I can't get enough air and am rapidly trying harder and harder to breathe. Eric tells me over and over to calm down and it sinks in. Despite feeling panic, I tell myself to relax and I pray that the Lord will help me calm down. The panic subsides more and more. They check me out and ask me important questions. Eventually I stand up with help and confront the ambulance. I feel I just need time to rest and at most it is a cracked rib so I waive off the ambulance (mainly because I'm afraid of ambulance costs). The team takes care of everything: my bike, my seatpack, my car, and Lance drives me to the hospital and calls Robin for me. At Sutter Roseville is when the adrenaline starts to wear off and the pain hits. I am surprised as they take me to the trauma center. Turns out anything over 30 mph goes straight to trauma. They hook me up, put me in a CatScan (which hurt the most!) and tell me the bad news of 6 broken ribs and a punctured lung! 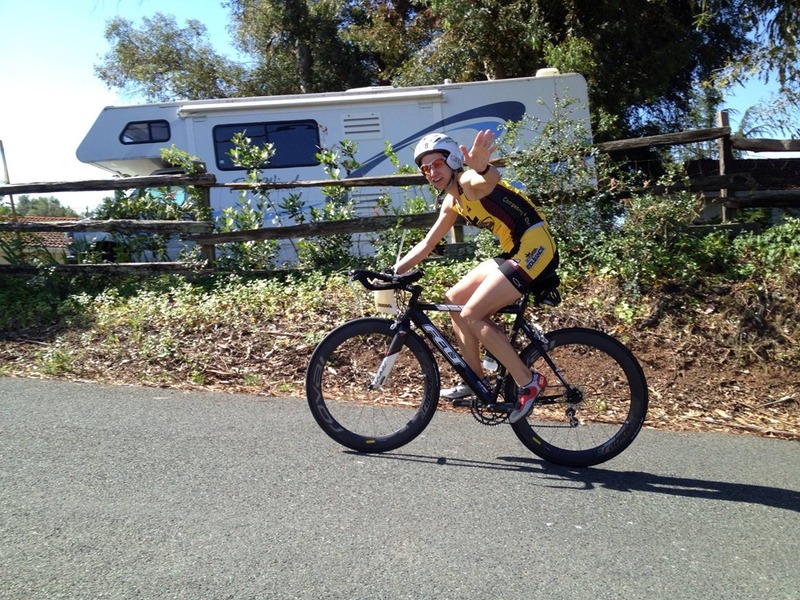 Robin clears up what that means for me - no Ironman training for 6 weeks. Oh no! I'm already feeling dumb for making a risky move in front of 3 other riders and then crashing right in front of them on my favorite turn. And ruining my chances at doing well in my new 45+ category. And now loosing the Ironman training I had started and the big ride I had planned this next weekend. But Robin helps me learn from this and find meaning. I pray about it and really feel God telling me that I was spiraling out of control before this. Not taking enough time to hear His directions for me and not giving Him the time I promised. This is a wake-up call which is not even as bad as it could have been. The fall was directly on my remaining kidney but the CatScan showed it was not punctured or damaged. I didn't take out other riders. Road rash is minimal, spine and head ok, and my bike and wheels are also ok. But my soul is more awake now realizing the importance of my most valued treasure - Christ in my life. And other good things are going to result from this, too. My stay in the hospital was very comfortable relatively. Terrific service. My heart was warmed by the many visitors and calls and cards. Robin was supporting me all along the way. And I felt happy, knowing God is taking care of everything I haven't even though of. Meaning will come out of chaos. But I will do my best next time to learn from this and minimize the chaos! "Thank you Lord for taking care of me and my family and having a plan to make me better in the long run. May I depend on you more." 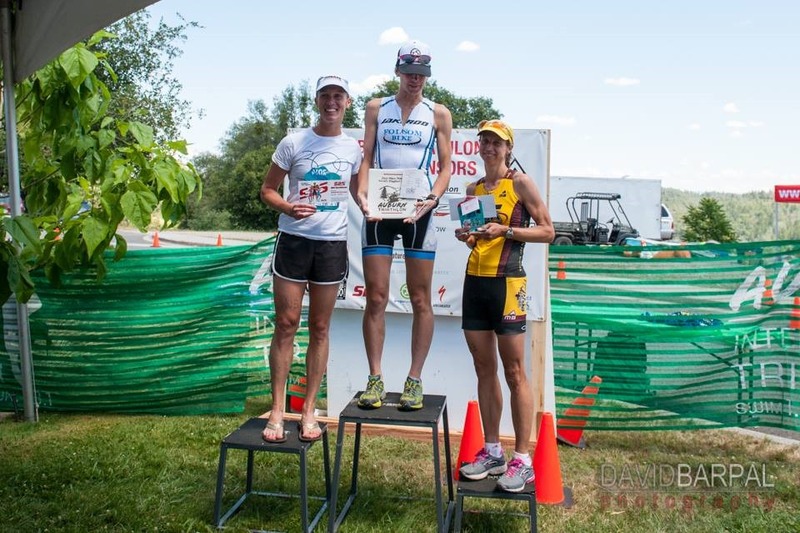 Temperatures were perfect for the annual Auburn Triathlon. 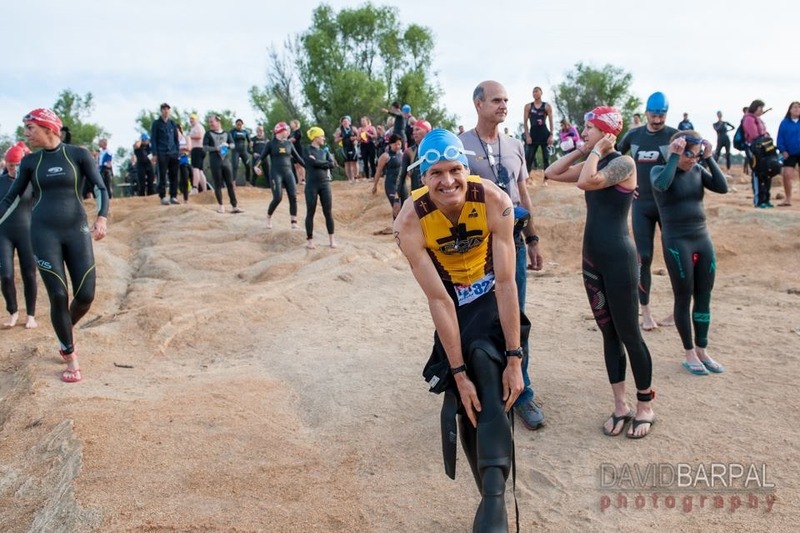 Although I'm sure many of the long course athletes still had a haunting feeling of the challenge to come as they waded into Folsom Lake for the start. It's been long known as the World's Toughest Half but this year it would re-earn its title again as the race directors, Colleen and Joe, moved the run course back to the beautifully scenic, but increasingly difficult, Western States Trail. This includes a heart-pounding ascent up the "Dam Rd". 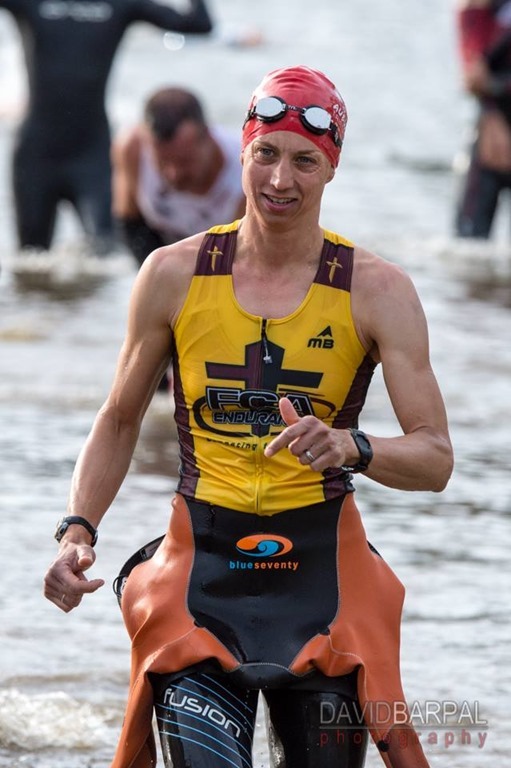 I'm doing the Olympic distance race because this is Robin's 3rd year doing the 1/2 and we want her to try to defend her title. We've been doing this local race since 2005. We always try to peak for it to do our best. Robin & I and others pray together before the start. 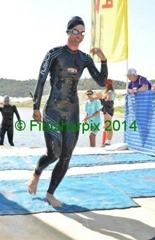 And then she takes off with the long course race. The water is great. My friends, Troy Outman and Dave Campbell are doing it with me which is great. Troy's been practicing out here regularly and looks calm. Dave is a really good swimmer and runner and always sets the times for me to beat. We start and I feel good to the first buoy, but it looks like everyone is leaving me behind. I block it from my mind feeling like I'm doing well. It's a matter of doing my best for God and ignoring the intimidations that come from comparing to others. We swim down river and turn 1 buoy earlier than the long course athletes. We merge with them! That was a first.. just like swimming onto a highway. After a while, the short course athletes merge in with us. Now we're all together heading for the finish. 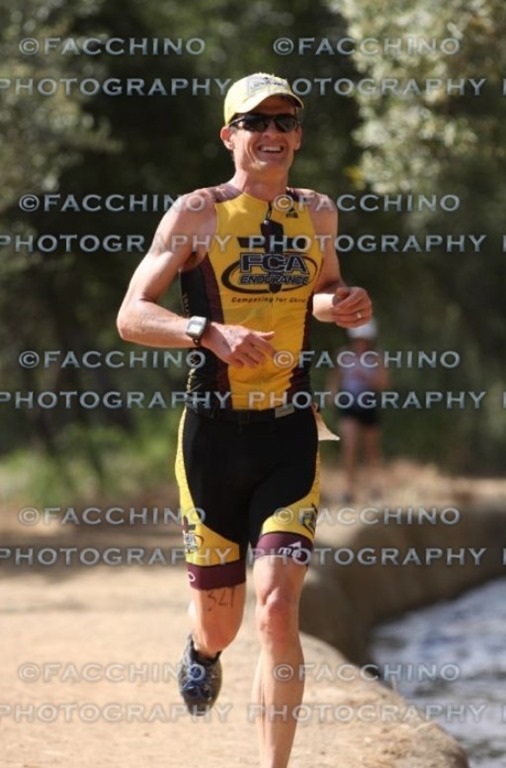 I push hard and am glad the water gets shallow enough to walk. 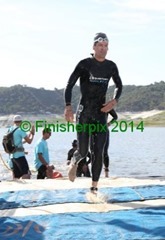 I high-step quickly the 60 yds to the finish. Up the ramp goes well, removing the suit is not super fast. I get to the bike quick but tying my trashbag holding my wetsuit takes a long time. Finally I'm out on the bike. I'm riding a new Felt B16 bike. I've got to push it if I'm going to have a chance of winning. Last year I missed it by a few minutes. Climbing out of the canyon, up to Auburn, I catch up to Robin! 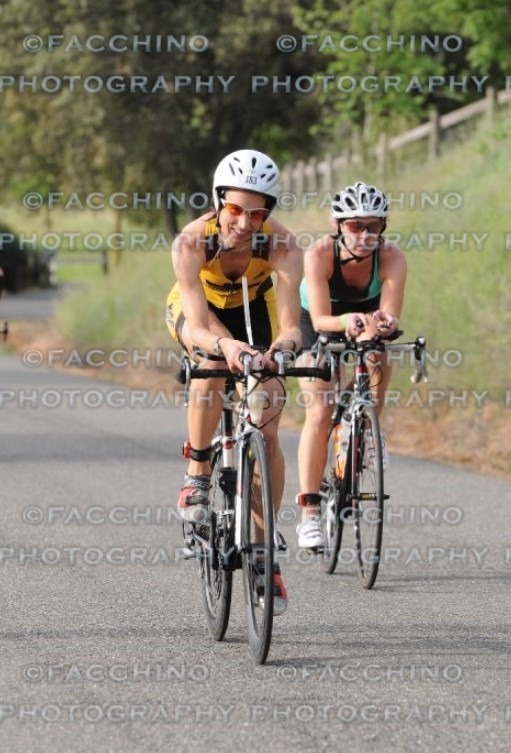 How cool to ride next to her (briefly) in a race. She had a great swim. She's on new race wheels so I hope they help her shave off some minutes. Through town I enjoy the spectators cheering with cow bells. And seeing some of my friends from our local cycling team on a training ride. I see more friends and then I see my High School friend who always volunteers at the bike aid station. So many things to help motivate me. I see the first 3 athletes already riding back. They're way ahead! You never know what can happen. I turn right as I see my friend Rich go by doing the 1/2. Flying back the bike is feeling good. Just needs a little tweaking to get perfect. I see Robin going out. Big smiles to each. She flashes 4 fingers to tell me my place. I enjoy the once-a-year opportunity to ride as fast as I can on my favorite roads while local police control the intersections. Almost back, I see our friend Andrea heading out on the bike. I know she's the last one. I hope she finishes it today. I ride into T2 smoothly but forget to remove my feet to run. I'm still in my bike shoes. A little delay. No socks. Hope these shoes don't give me blisters. The run course starts out on a scenic trail and then heads down the road overlooking the river. The next guy was 4 or 5 minutes ahead of me I think. I hope I can gain on them. Part way down I see them already coming back. The 2nd place guy was 1st last year and we remember each other. 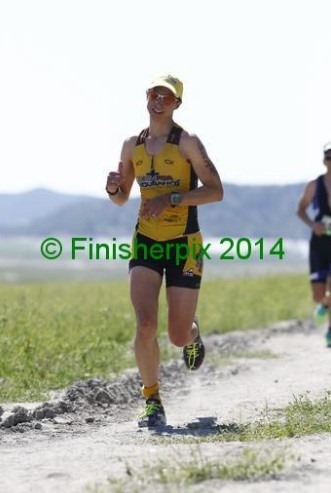 He's running with great form and still gives me a smile and wave. He's got a great attitude. After the 3rd guy I'm surprised to be told it's time to turn-around. "Already?" "Yes, the 1st 3 guys went too far". 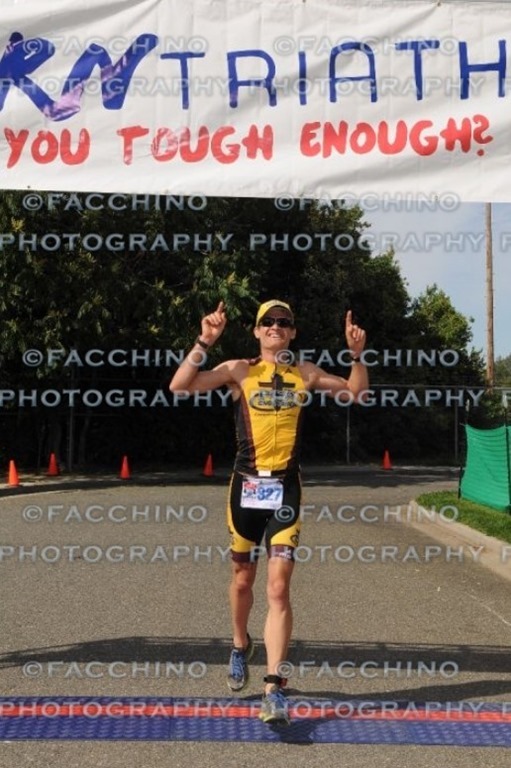 Oh, know, they ran an extra mile to the 1/2 Ironman turn-around. Which I was expecting we all had to do. I'm only a minute behind the 3rd guy. I want to catch him and I don't want to catch him because I know he should really be about 8 min ahead of me. I wonder if maybe they turned me at the wrong spot. I do some math in my head and realize I'm on the right course. I pray about it and feel God saying to go as hard as I can and it'll all work out. 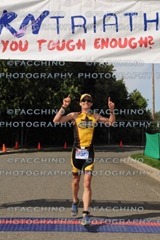 I will do that even though part of me doesn't want to catch him because of the confusion it will add at the finish. It's a long climb up to the canal. 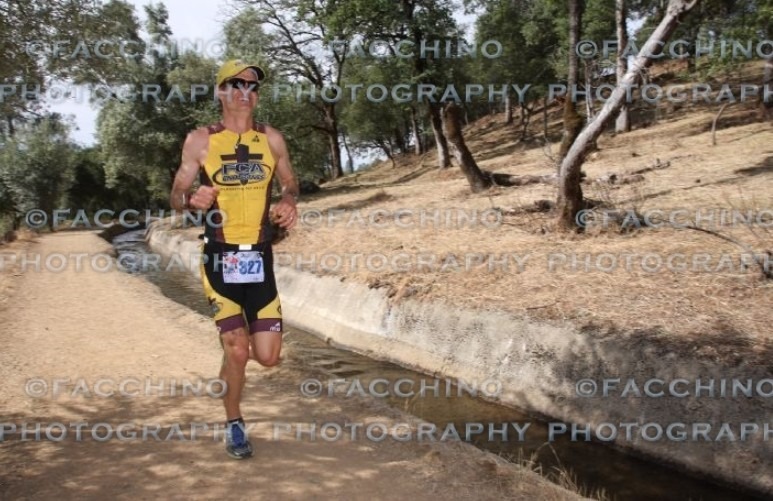 Once there, on my home turf, I maximize speed on the trail trying to catch up. I see more friends out walking their dogs. 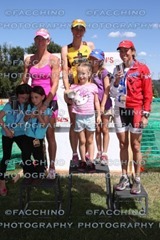 Great doing a home race! My friend, Sara Outman, is volunteering and says I'm within 40 secs of the 3rd place guy and that Troy (her husband) is doing well in the start of his run. I go through the finish line onto lap 2 while the announcer talks about how I went to school with his sister at my old High School. 2 miles to go and I'm giving it all I've got. But the guy is also picking it up. One last sprint along the canal. My hamstrings have held me back a little today, but this last mile is my fastest yet. You never know what can happen. 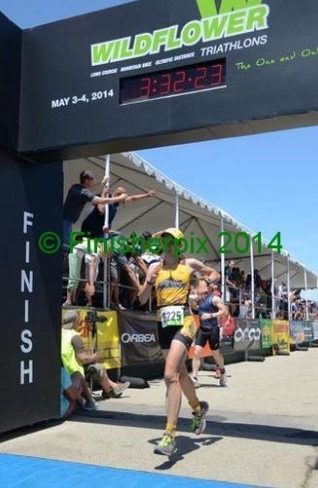 I see Sara one last time, then a tough climb to the finish road and finally I'm done! I gave it my best and didn't catch the guy which turned out perfect. The first 3 guys all ran 1 extra mile but none of the placings changed so no one was upset. We all talked at the finish and cheered my friend, Dave, who came in 4th and the others finishing. 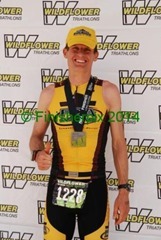 Thanks, God, for making it all work out and thanks for the great conversations I got to have at the finish. Talking about your awesome grace and continual 2nd chances and re-birth you give all of us. Now to help at the aid station and cheer for Robin on her attempt to win the World's Toughest Half! (I'm so proud of her). There is nothing better than sleeping in your own bed, getting up and biking to the start of a race! This is a race I look forward to for sure! Thanks to our friends, the Nickel’s, who took the girls for the night, we had a quiet night of sleep and an easier morning routine. Yesterday was a great blessing. Our local FCA Endurance Huddle had a free pasta dinner for the athletes. And, our friends Daniel and Cerissa Patterson did amazing worship music. Daniel also shared about his marathon experience and how Christ worked in their marriage while on the course. Jamie Whitmore shared about how God is working in her new career as a World Record breaking para-cyclist. She is always so honest and is so fearless in sharing her faith! I am nervous about today’s race. I won the last two years and hope to repeat this year. I know that the most important thing I can do is to focus on Christ. Win or lose the race, if I give a 100% for His glory it’s a win. Troy and I leave bright and early for the start. It’s downhill but even so I’m feeling tired. Maybe it was from the racing the last 2 weekends. Maybe it was from the swim meet the day before. Or maybe it was all the work going into the pasta dinner. Doesn’t really matter because I felt the Lord’s approval in those things so I cannot lose even if I don’t win overall! Locals Dave Campbell, David Holloway and Troy Outman are here. Our friend Rochelle from the Bay Area is here too. It’s going to be a great day! "My" Troy and I do a warm-up and get our stuff ready. Somehow time is short and it’s already time to get to the start. I have to run back to my spot twice to set up some things I missed. Finally, down to the water we go! A nice gal, Anna, comes and asks to pray with us. So great to be united in Christ with other fellow triathletes! I give Troy a kiss and go do a swim warm-up. The water feels great and I feel pretty good. Okay, time to go! Ready, set, swim! I push hard for the first 100 meters. I actually get in a good draft right after the short swim to the first buoy. There is a group of 4 of us working in a pack. I set my sights on one gal in particular who seems to have the best path and draft. Another gal tries to move in and I hold my position. It seems like I’m with the top girls but really it’s hard to tell. At the second buoy I still have a good draft and she’s pulling me through the previous waves well. As we head into the third buoy, I try to maintain contact but it’s here that we turn into the sun. I am totally blinded and loose track of her. I just follow all the other bodies. This always amazes me how people seem to go the right way in this type of challenge. I think I see my draft but it’s too bright to tell. Someone seems to be at the right speed so I stick with them. I am looking forward to turning at the last buoy and getting my sight back. In the meantime I’m just trying to stay with this draft so I don’t run into anyone. Finally, we make the turn…yeah! I see the finish and try to push a little harder. I manage to stay with the few red caps (girls) I see. I hit the shore, take off my wetsuit well and head to my bike. Now the real fun begins. I’m using the race wheels again and hope to see some good gains. I say hi to David Barpal taking pictures. Up to my bike I go and make a good transition. On my way out I see Francie Campbell, her daughter Sandy and granddaughter Isabelle. I say hi while little Isabelle tries to take my picture. Once almost out, my aerobottle cap pops off and my Perpeteum spills all over the front of my bike including the race wheels! Bummer! I have no water and will have to give my bike a wash once I get some. I slide my feet into my shoes quickly and I’m off! Time to climb! The next six miles are pretty much straight up to our neighborhood. Heading out of Rattlesnake Bar park I see a girl in green. I pass her and soon she is passing me back. We go back and forth up to Shirland Track. 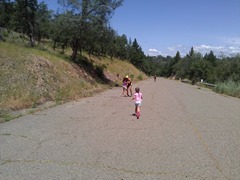 I am able to pull ahead just before the big hill. Right at the start of the big hill I hear a truck coming from behind at a good clip. There is a race photographer on the hill. As the truck blows by all of us cyclists on this section I can see the photographer is obviously shouting, though the truck is drowning out the sound, and waving his arms at the guy. It has no affect on the guy and he continues to motor off narrowly passing riders. I thank the Lord he didn’t take any of us out and I pray for the riders ahead. Soon I hear Troy from behind. His wave of the Olympic Distance swim was right behind mine. It’s awesome to see him going out on course and be able to encourage one another. Usually his group is ahead of us long course folks so I only see him as he’s flying back to T2. It’s great to actually talk to each other a bit. I say “Go Troy!” as I watch him take off. Not too long after Dave Campbell flies by too. At Mile 7 we pass T2 at the Overlook. Only 49 miles to go! Oh joy! I don’t feel as snappy today but I am still able to go at a good clip. I wonder how I’ll feel 30 miles from now. Just past Mile 13 I cross Bell and head up the hill toward Christian Valley. 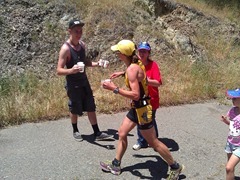 I see Troy’s high school friend, Doug Olson, at the aid station. “Got to catch Troy!” he says. I chuckle and smile. I wonder if I’m the first girl. Not totally sure. Around Mile 20 we are on Geisendorfer. This is a tough climb! I see some Victory Velo jerseys ahead. The shop must be doing their Sunday morning ride. Cool! I hope to see some familiar faces again. As I catch up to a few I don’t recognize them but I say “yeah Victory Velo!”. “Hey, you’re the first girl” they say. Wow, really? Maybe? At the top of the hill and around the corner I see the whole VV group waiting to regroup. I shout “hey guys!” and they wave and cheer. That is a great boost and I feel great! At Mile 25 I turn on Tokayana to head up to the Bear River campground. A girl passes me and she’s flying up the hill! I feel the wind go out of my sails a bit. I compose myself and try to keep her in sight. I am able to do this all the way to the descent to Bear River. I see that she’s braking quite a bit so I’m able to fly by. A year or more ago I would have never dreamed of flying by her like this. Thanks to the many group rides and recent bike races the fear is not as great. Thanks Lord for giving me the confidence to do this! So exciting! Well I’m clearly struggling with 1, 2 and 4. I pray and ask the Lord to give me what it takes to get there. At Mile 40 and at Clipper Gap, I’m feeling tired but able to keep up the effort…and I’m feeling like I’m racing for the Lord. I see Gary Carpenter and Roni Jones cheering as I’m flying down the hill. That’s awesome! Now it’s time to climb up Lake Arthur to Crother. This is a tough climb coming at the end of a long ride! As I head up I see that gal heading down. Wow, she’s got a big lead. I hope to close that on the run! Around Mile 45 I make the turn around. Heading back I see that girl in green from the beginning and another girl flying by her! Wow! Around Mile 50 I’m on Bowman and that girl in a Jackaroo outfit flies by. Wow! I cannot match her speed. I find my attitude going negative and ask the Lord to help me keep things in perspective. There is still a run, there is still hope! Around Mile 53 I’m riding past Robie Point and the home of the Carnahan family. All their kiddos are cheering along with the Hamilton kids. What a boost and a reminder that the end is near! Yeah! Soon I’m heading into T2. I’m feeling stiff as I jump off my bike and run to my gear. I make a good transition and I’m off! Last leg, here we come! We head immediately down to the Western States Trail. My back hurts going downhill as I try to navigate over the rocky trail. Soon it loosens up but my hamstrings start feeling sore. Lord help my body…and my attitude as I wonder if I can catch those girls especially on the up hills. Mile 1 is 8:07. Feeling tired and sore. 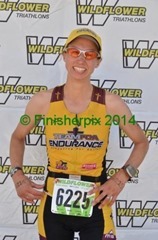 I’m looking forward to seeing the FCA Endurance Aid station led by Desiree Swift. And, looking forward to seeing Troy and our church at a later station! Mile 2 is 8:25. There is no one around me in the race but a few other folks just out for a run. As I round a corner I see the FCA Endurance Aid Station. Wow, I didn’t expect them to be here. I get some water as I go by and wave. Mile 3 is 8:11. My run is not feeling strong today but I try to remain hopeful. I see a guy racing back on the trail and I give him a thumbs up. Time to start looking for those girls. As I hit Robie Point, the first girl goes by and she looks strong. Ouch, that’s a huge gap she’s got…have hope. Further down the trail I see the Jackaroo girl and she looks good too! Wow, tough to close those gaps…but have hope! Mile 4 is 8:10. As I make the turn around and head back I get a look of who is behind me. I see the next girl at Robie point so I know I’ve got a good lead. So this is looking to be a 3 girl race if I include myself. Mile 5 is 8:35. I can feel myself slowing down a bit but I’m still giving what I have. 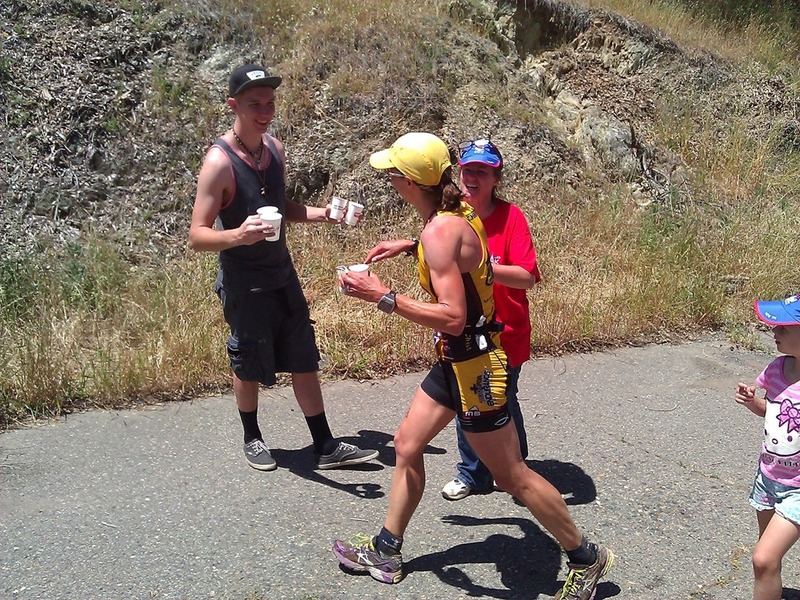 I make it to the FCA Aid Station and they are smiling but a bit quiet…maybe I’m getting farther behind? Friends Ron and Lori get me some HEED and I continue on after. Mile 6 is 9:39. I’m on the prettiest part of the course, Railhead Trail, but it’s hard to enjoy it as I struggle to run fast. I hear a runner from behind and pull over and let him go by. That is a sign I’m really struggling! Have hope! I hit the section that scales the walls of what would-have-been the Auburn Dam. We call it the “Dam Road”…the steepest and hardest part of the run. I was hoping to pass the girls here but there is no one in sight…sigh! Mile 7 is 9:43. Wow, this hill is long! I’m ready to be done. 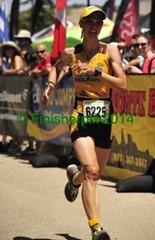 I’m thinking back to my last training run here and how I felt so good. Not today. This is not very fun right now! Mile 8 is 8:24. Got some downhill, phew! As I make it to the bottom of the next section, I can see the same girl leading and her lead has grown. Not too long after is the Jackaroo girl. I know that there is no way I can close this gap and I feel relief from the negative pressure I had been fighting all day. Lord, I will continue to give my best for You! I make the final out and back turn around and head back uphill. Mile 9 is 9:46. Still climbing and looking forward to Troy’s Aid station. As I make another turn and climb another hill, I see the FCA tent in the distance. Yes! Anna and Ariel see me and they start racing towards me. Anna gets to me first and I stop briefly and give her a hug. She then proceeds to give me a cool sponge bath on my back. Ariel comes next with some water and I give her a hug too. I see Troy and other familiar faces from church…and they are cheering loud..it’s great! Once I go back to the finish area I have to go out for another short loop back to here. Yeah, one more time to see them all! I make the next turn and see emergency vehicles. I hope nobody is seriously hurt. I get on the NID ditch trail and see a bunch of emergency personnel bringing a woman back on a gurney. I say “hang in there” as I go by. She must have fallen off the trail and rolled down the hill…poor dear. Mile 10 is 9:01. Off the ditch I go and up to the finish area. Legs are feeling really tight and sore now. I just need to survive a few more miles. Mile 11 is 8:48. I hear Jamie Whitmore and her husband Courtney cheering for me. I pass by the stage and Brad Kearns is MCing at the moment. He says on the mic “you winning?” I smile and laugh and put up 3 fingers. Mile 12 is 9.22. Almost back to Troy and the girls! I round the corner and there they are! I stop again and give friends Shannon and Christian hugs and thank them for their help. Time to finish this thing! I get off the ditch again and climb back to the finish for the final time! 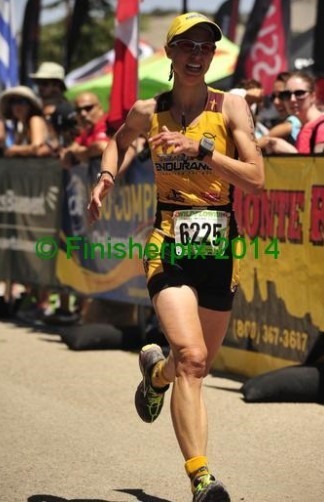 I cross the finish…phew, thank you God! That was tough but I never quit. 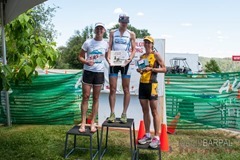 I still won my age group and I still got to be on the podium for a top 3 finish. I am thinking about how Jamie said that people watch to see how believers react to a bad/tough race day. I know that this is where I can walk the walk. I seek out those two girls and congratulate them with a smile. Lord, thanks for today and may my actions have glorified You! Couldn’t have started this day out any better! Only at Wildflower can I go worship Jesus and be fed by God’s word. After attending the church service, I’m more than ready to race for Him. Karen, Troy O. and I get on the bus to the swim. This is a historical day because there is a major course change - the 3rd time in WF history and 2nd time due to drought. 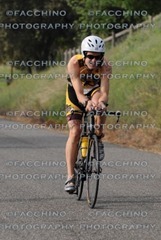 We are swimming at the end of the lake and then running 2.2 miles, with 2 good climbs, to our bikes. Then it’s on to the regular bike course. And finally, a shortened run of about 4 miles with 1 huge climb. As a runner, this is good news. I’m looking forward to it! Karen and I warm-up and check out part of the course. We have to run up the Harris Creek boat ramp, down a trail, onto a trail where water used to be and then back up the original boat ramp. Sounds like a doozy! Before I head down to get ready I pray with Karen. 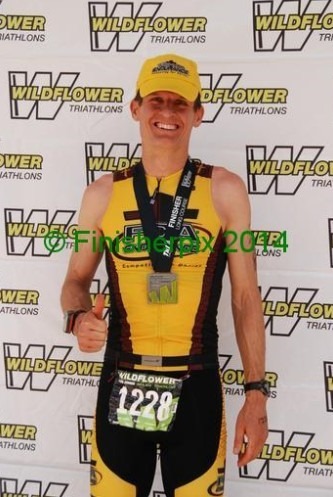 Prayers are lifted up for safety, Troy O’s calf and Karen who is recouping from a stomach bug. I walk down the long boat ramp and find my spot at the bottom. It will be great to have my shoes on early! I realize I forgot my Pam spray to help get the wetsuit off fast. A nice gal in my age group lets me use her Body Glide. Thanks God! Time to line up. Julie Moss is here announcing and makes me raise my hand since I was on the podium last year and have aged up. I quickly and embarrassingly raise my hand. “Follow Robin, she has a good line in the water.” Oh great, now I have a target on my back…but really anything can happen and this is all for fun! Then it’s one more tip from Julie. “Girls, wipe your faces when you get out of the water. You’ll come out with a nice black face.” Good to know! It’s time! Ready, set, go! Into the black! It takes quite a bit of looking up and some trust in the girls ahead to stay on track. Finally after 200 meters, the water clears up and we can see! Yeah! A gal keeps bumping me. I wait until she drifts off and then try to speed up and cut over. Unfortunately I time it poorly and kick her as I make my move…shucks, I hope I didn’t hurt her! At the first buoy I’m hanging with some of the top gals. I don’t know for sure if anyone slipped ahead. It’s nice to have a draft! The next buoy comes quick. Now, it’s a straight shot back. The gal in front of me starts to weave a bit too much but fortunately there is another. I jump on and she pulls me well through the previous waves. Soon the water starts getting dark again…close to home! I push hard to stay with my draft and just barely hold on. Finally, I’m done. [5th place] My wetsuit comes off great except for the one leg with my chip. No worries, a little extra pull does the trick. It’s nice to get to my shoes quickly. I have no towel to wipe the gunk off so I use a sock…lovely! I take water every chance I get! Troy tells me that it gets dry out here so don’t pass any aid up. I’m passing guys and feeling great! Mile 1 is 8:07. Soon my hamstrings start to really bother me. Lord, I put this race in Your hands. If this is going to be an issue today, I will accept that. Mile 2 is 7:16. I can see T2 in the distance. Hey, there is Anna. She runs with me a bit. I see Troy and give Ariel a high 5. “How are you doing honey?” Troy asks. I smile and say “my hamstrings are already getting tight”. He tells me he’ll pray. I have an amazing husband! I have a good transition to the bike. I mount and am able to pedal and slide my feet into my shoes which are already on the bike. Up Lynch I go! 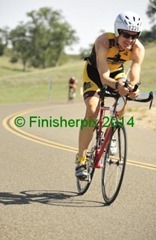 I’m feeling the long ride I did this week in prep for the Auburn Tri! At the top, I get a nice break. I start seeing the FCA signs and it reminds me who this is for. Once out of the park I start to feel better. I’m seeing some collegiate women and encourage them along. I still wonder if I’m the first age group gal or not…will hopefully find out at the turn around. My hamstrings are still feeling tight. I hope my 2nd run goes well! At the big hill at Mile 8, I can see 2 big trucks ahead going really slow and blocking the right side of the road. I can see a girl struggle to stay upright behind them. As I approach, I can see if I try to pass on the left I’d have to cross the double yellow line…not an option! I try to get the drivers attention in his side mirror. I motion for him to move to the left. A rider comes up and decides to pass on the left, totally not safe especially with riders screaming down the hill! Finally the driver moves just slightly and it’s enough to pass. As I go by, I worry for the girl that was struggling and I hope she got by safely. Now I get to enjoy the nice downhill to the turn around. I used to brake here in the past and the previous downhill. So far, no braking…I sure have come a long way! Thanks God for giving me the confidence! 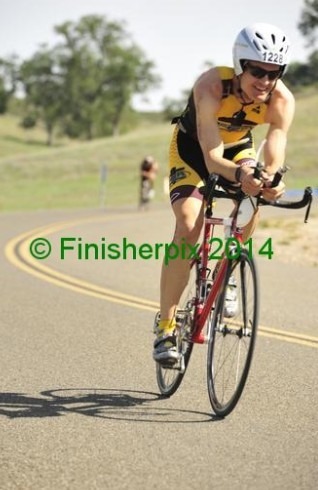 As I approach the turn, I look for gals. It’s too hard to tell where I am, and, while trying to stay aero, I may be missing some. I see Troy O. go by the other direction. The turn finally comes. Yeah, time to go home! I catch up to Troy O. and he asks me to pray for cramps he’s been having. “Will do!” Poor guy, that is rough! I wonder how Karen is feeling. Lots of guys are passing me now but no women yet. I continue to feel pretty strong. A fast looking guy goes by and then slows down. I don’t want to pass so I hold back to see what he does. I decide to make a move and pass. He soon passes me back but later I pass him again. Only a few short hills to go before we turn back into the park. A girl goes by in blue. My first reaction is “bummer”! My second reaction is “it’s not over”! I discover that I can pass her on the uphills so I continue to press and keep her in sight. Into the park we go! The girl and some other guys scream by on the downhill. One last big climb. I catch and pass the girl and say “good job”. I hear a man’s voice say “thanks, you too!” It’s not a girl, wow, had me fooled! 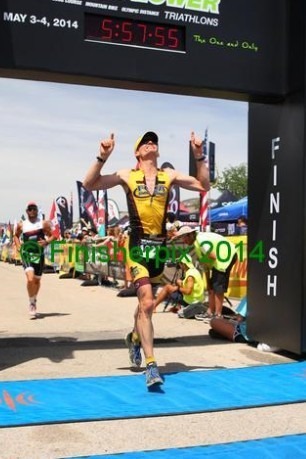 Could this mean I am the first age grouper then? I try not to focus on that and just get to T2. Finally, back to Lynch. Will I break here? I scream down and feel comfortable…NO BRAKES! Thank you Jesus! Here we go! I run out and see Anna ahead at the stairs with a sign. I cannot read it but appreciate the love. I give her a high 5. A guy passes fast and I tell him good job. I soon feel my true legs coming back and I pass him back. I’m amazed how good I feel! Mile 1 is 7:31. Now it’s time to climb Beach Hill on foot - for the first time ever! Will my hamstrings hold? I decide to run the whole way steady and not push it hard. I look for the FCA signs Karen and I put out…it’s great encouragement! 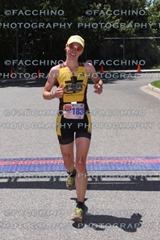 I am still passing collegiate girls and also age group guys. 3/4 of the way up there is a group of folks cheering. I give them a smile as I pass. I hear a guy say “hey, I think that’s the first age group girl”. Wow, could it be true?! Mile 2 is 8:56. I’m at the top! Yeah! One more mile and then I’m at the top of Lynch. The Aid Stations are great! Lots of enthusiasm and aid! I am passed by another guy and I stick with him. Soon I am passing him back…”good job”. Another guy goes flying by. Will a girl come past too? Mile 3 is 7:23. Yes, Lynch! Free speed! I let it rip. No hamstring pain, just fatigue now. Thank you Lord once again! I know I’ve got to push it hard. I have to really dig deep to keep it up. Mile 4 is 6:31. I’m at the bottom…go, go, go! I enter the finish shoot and raise my hands to the Lord. “Thank You Jesus!” I hear someone say “sprint!”. That could be a girl so I dig deeper and sprint. I make it across the line with no one near. Wow, what a day! 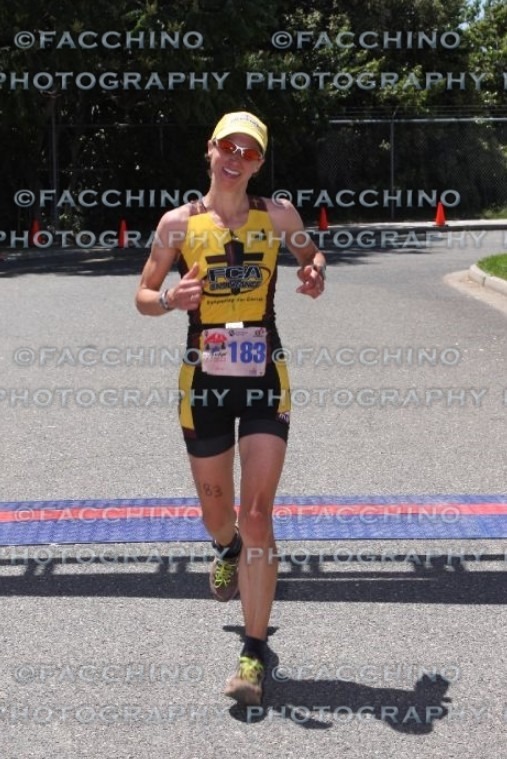 And to top it off, I was the first female age grouper to make it to the finish (since my wave went first)! 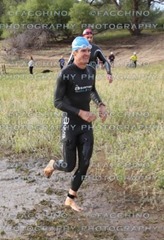 Once the other waves finished, I was 7th overall.